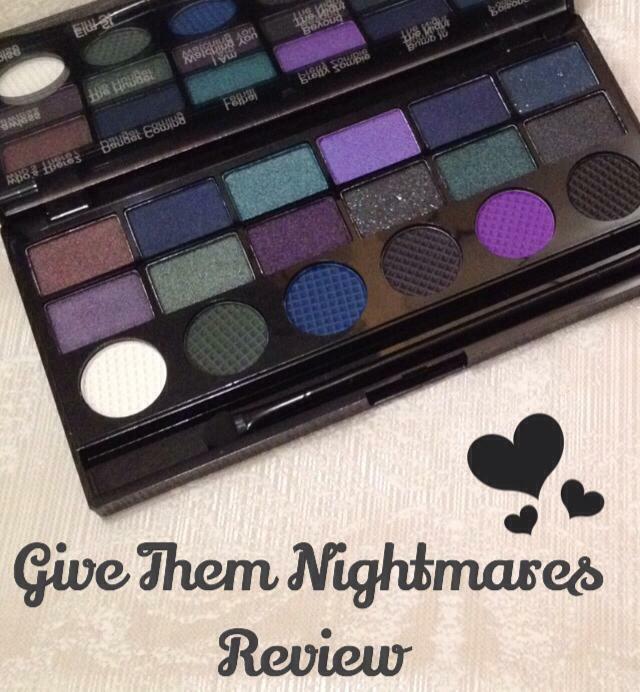 In one of my recent Makeup Revolution haul posts I mentioned that I had bought the ‘Give Them Nightmares’ salvation palette as the colours are something that I wouldn’t normally wear and I wanted to be brave and try something completely different. 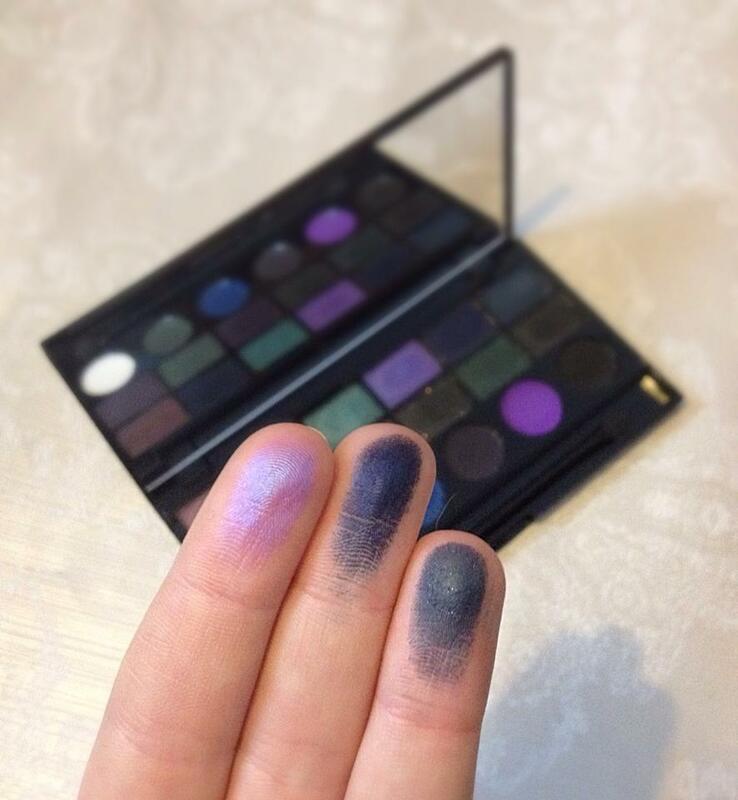 I was really unsure what I would think but after using the palette a few times I can honestly tell you that I do not regret my decision at all! First of all, the packaging looks great! 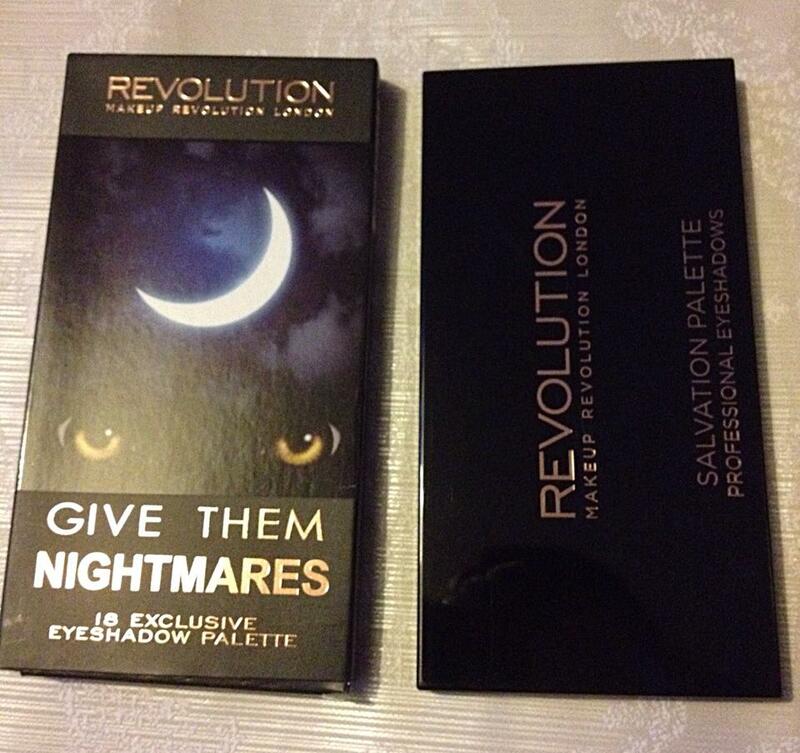 The outer packaging follows the usual Makeup Revolution black and gold theme (which I LOVE!) and has a spooky, appropriately themed, moonlit picture on the front. 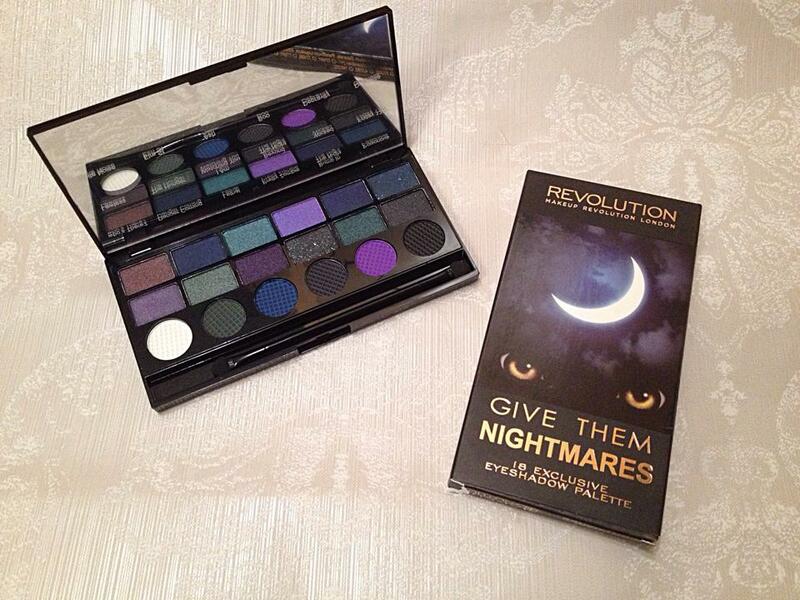 The palette itself is shiny and black with the gold writing on the front, which looks very sleek and professional. 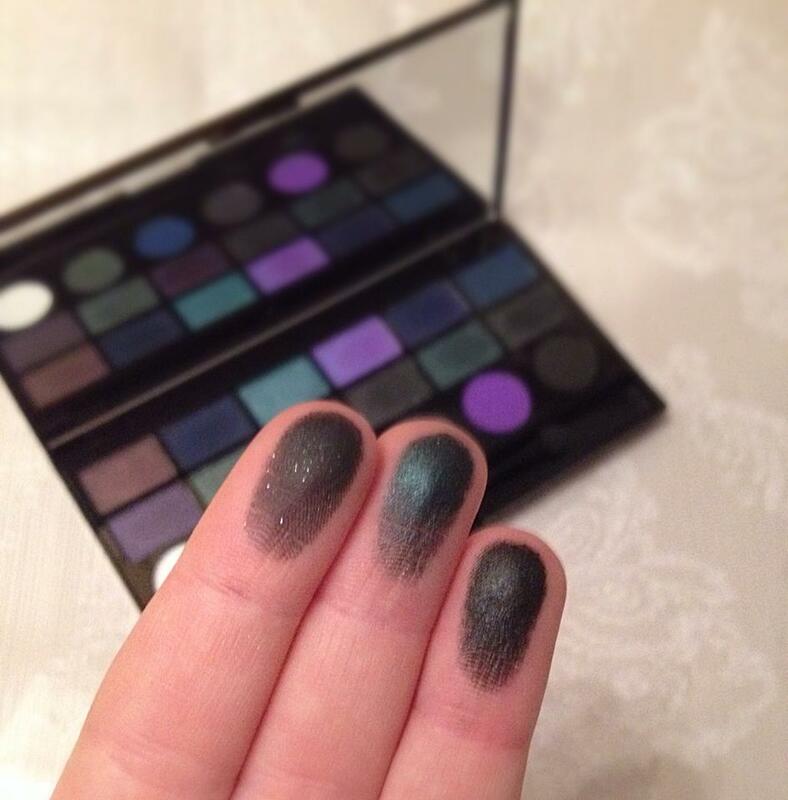 I was really excited to open this palette as I knew the colours were going to be stunning and I was not disappointed, they are all really beautiful and bold colours, with a clear Halloween theme (a little late, I know!). 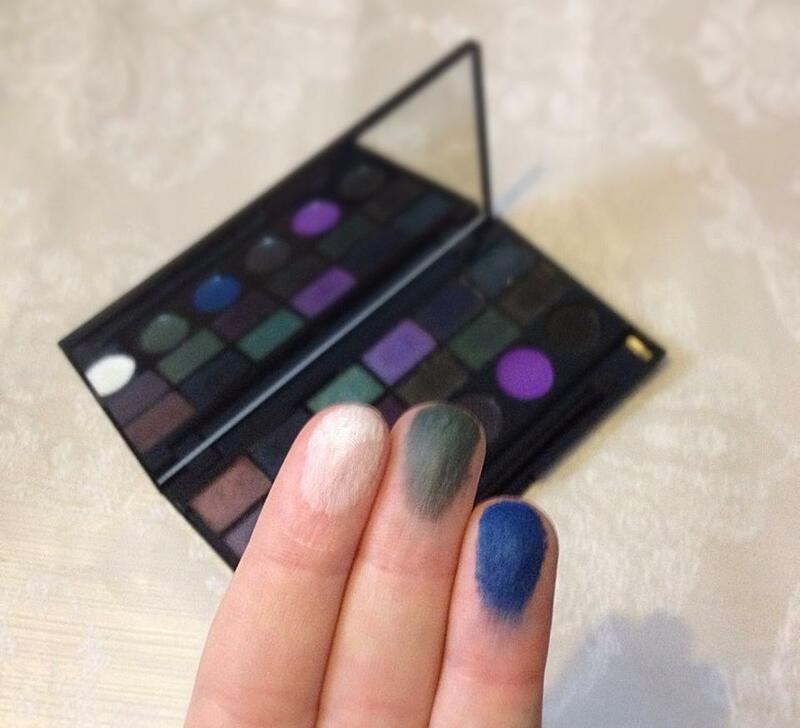 The palette has 18 shades all together, 12 shimmer (top 2 rows) and 6 matte (bottom row) and they are all super-pigmented. 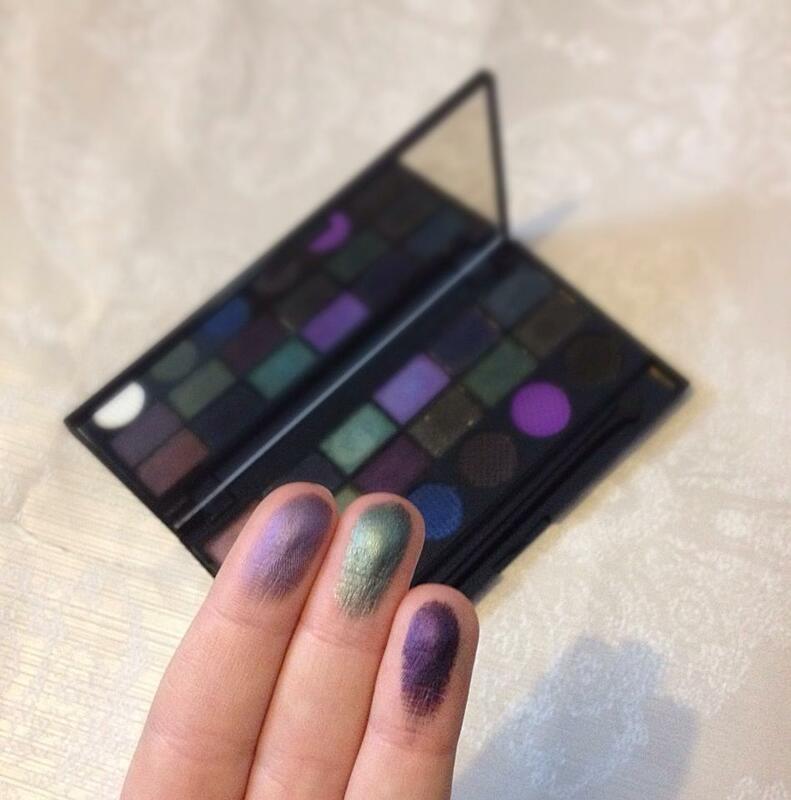 I also really love that all the salvation palettes include a brush and mirror as I have a few palettes that don’t have a mirror and it is a little more awkward. 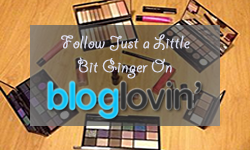 The variety of colours are great and there a lot of different combinations you can do too, I really like Who’s There?, Lawless and I am Watching You together. 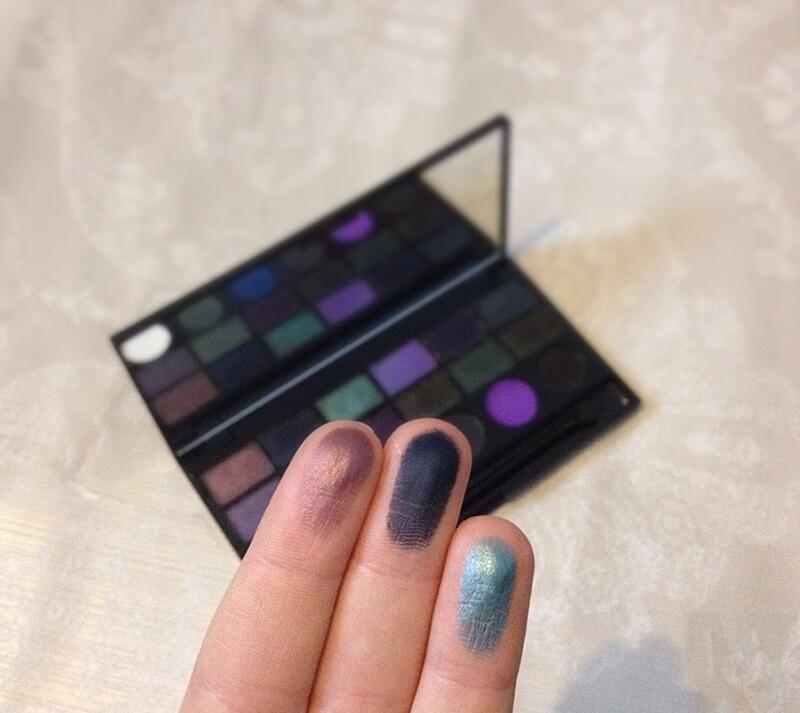 As you can see from the swatches the shades really pigmented and bold, which is amazing considering the palette was only £6. 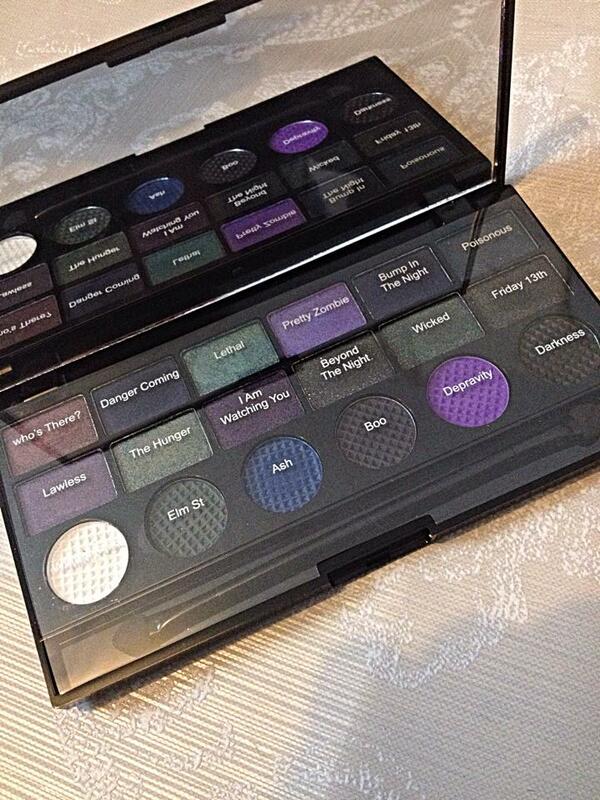 The most impressive shades in the palette for me were Ash, Beyond the Night and Lethal. 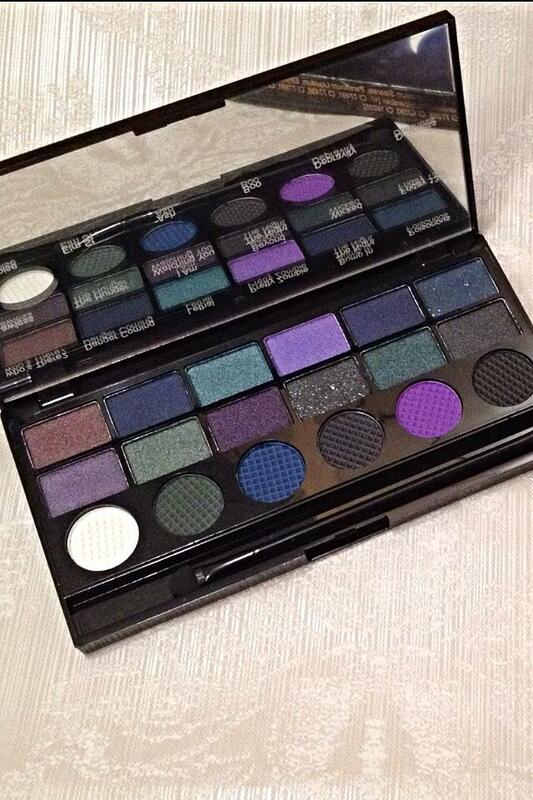 I particularly loved the glitter you can see in Beyond the Night, especially as it is such a dark shade. 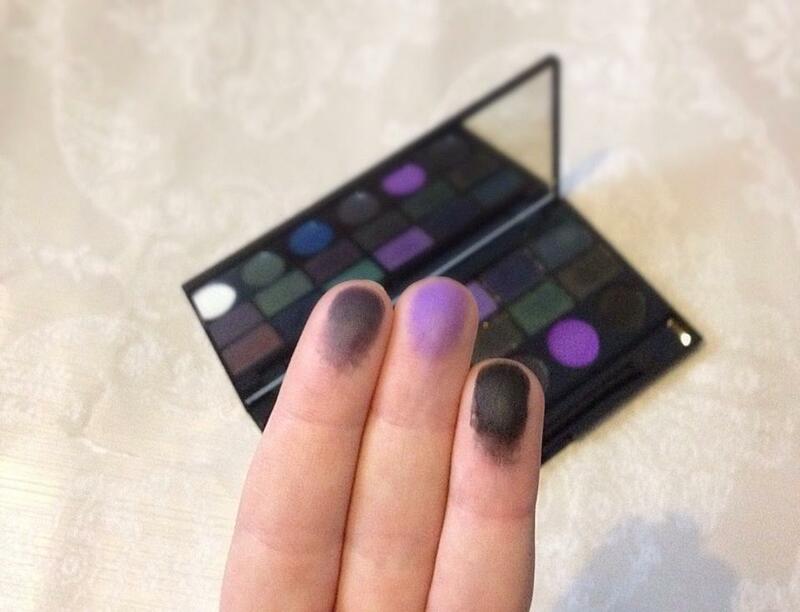 I have found when applying them there are a couple that a little bit more difficult than the others (White Noise and Depravity from the Matte selection) but overall they are really easy to apply, even more so with the Makeup Revolution eye primer. 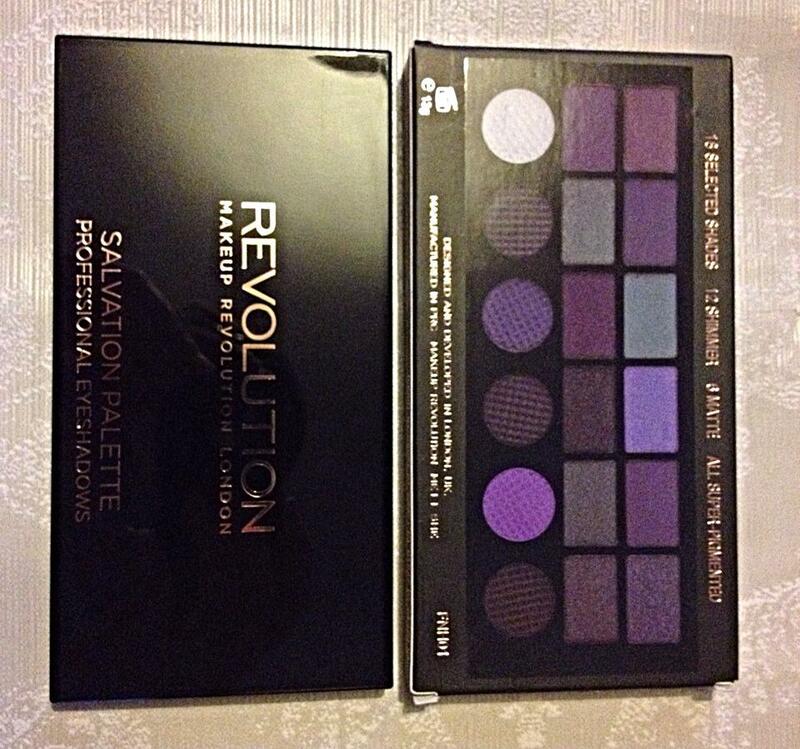 Overall I am seriously impressed with this palette and would definitely recommend it if you are looking for much darker shades, which I know are hard to come by. I was really drawn to the colours when I first saw it but wasn’t sure if I would like it, but I have seriously enjoyed experimenting with the dark colours. 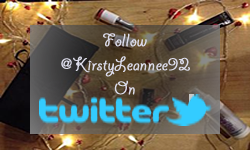 I really love the dramatic looks I have created and will definitely be posting some in the near future, so look out!